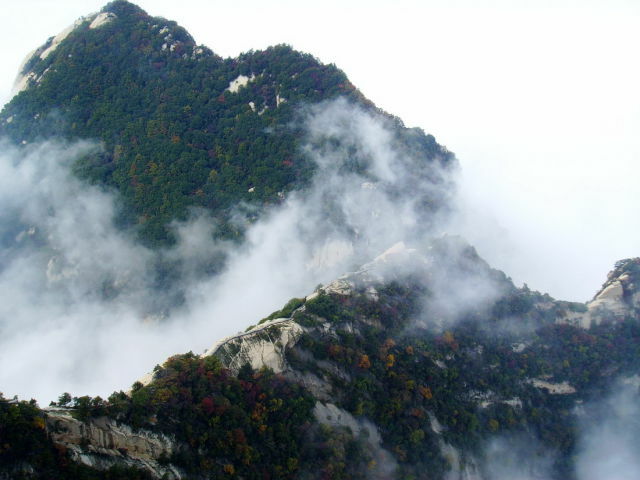 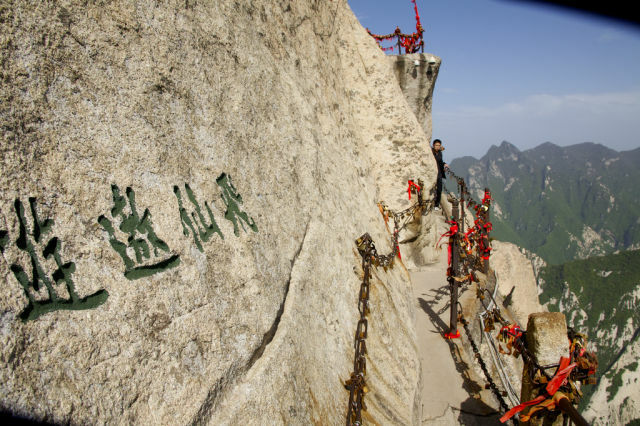 Located in the Qinling mountain range near the city Huayin, China, the Huashan is one of the five sacred mountains of Taoism. 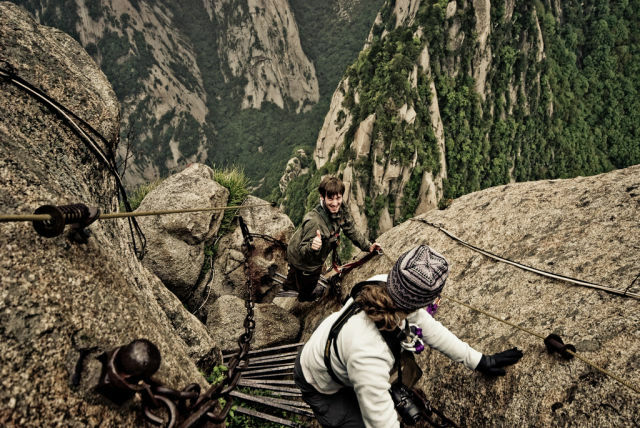 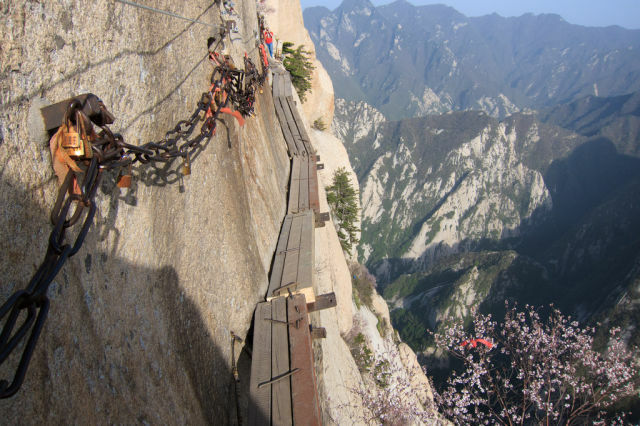 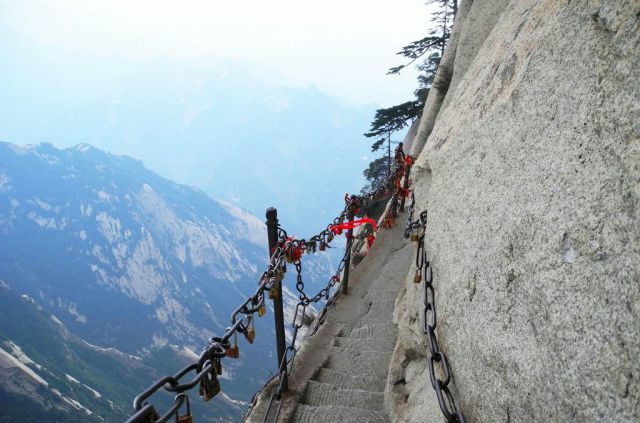 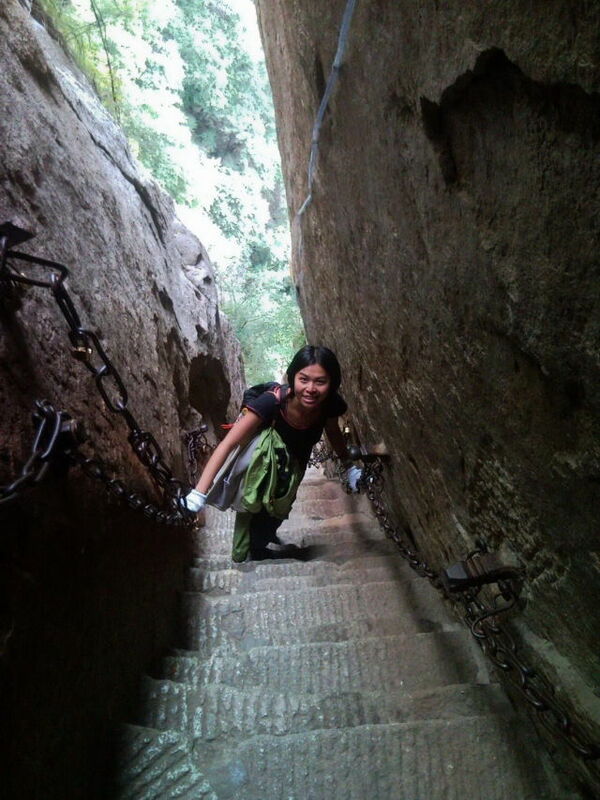 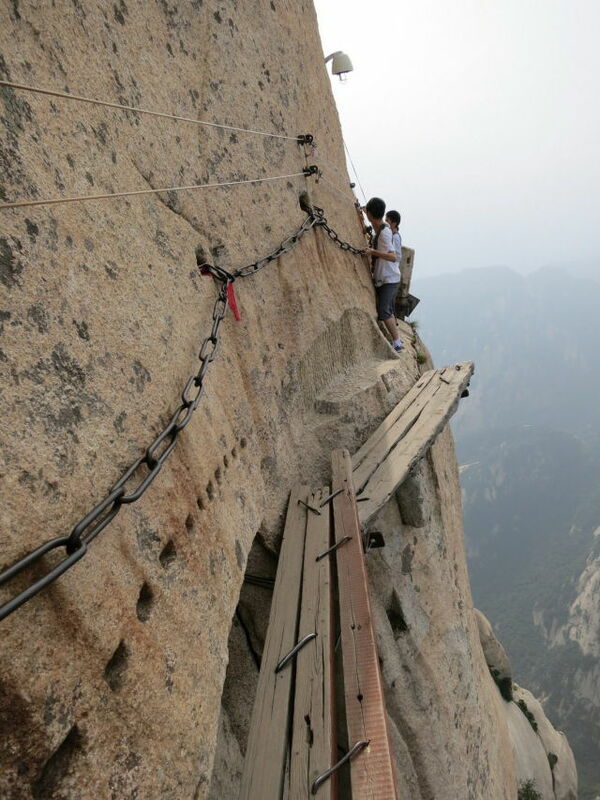 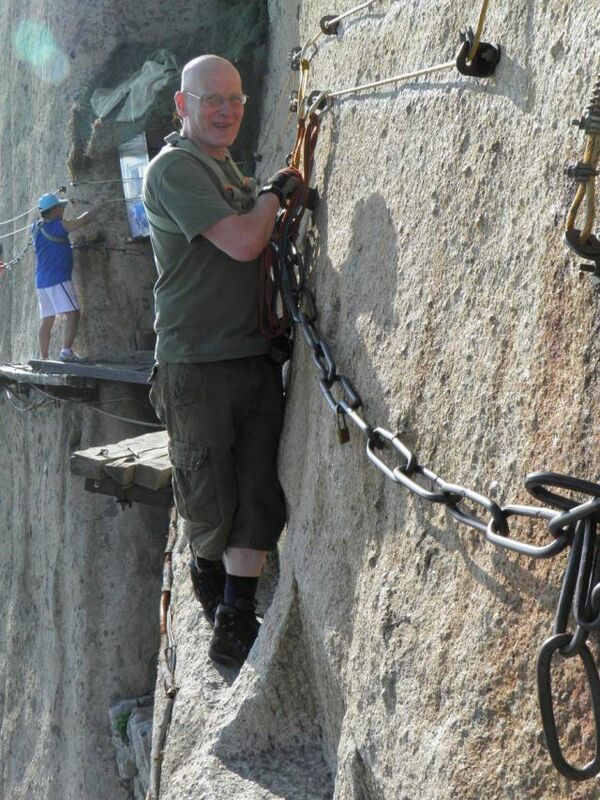 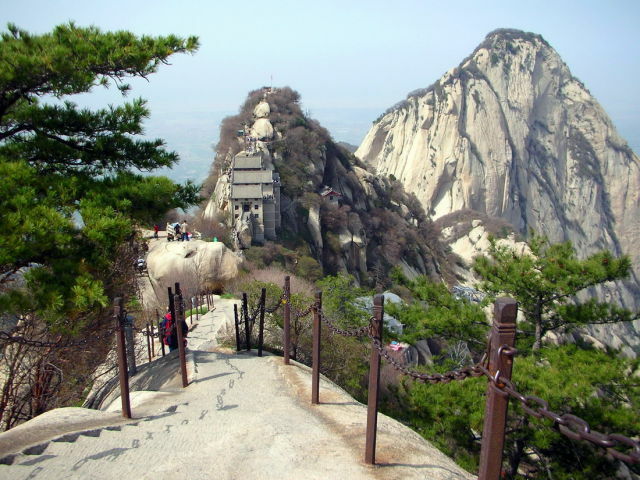 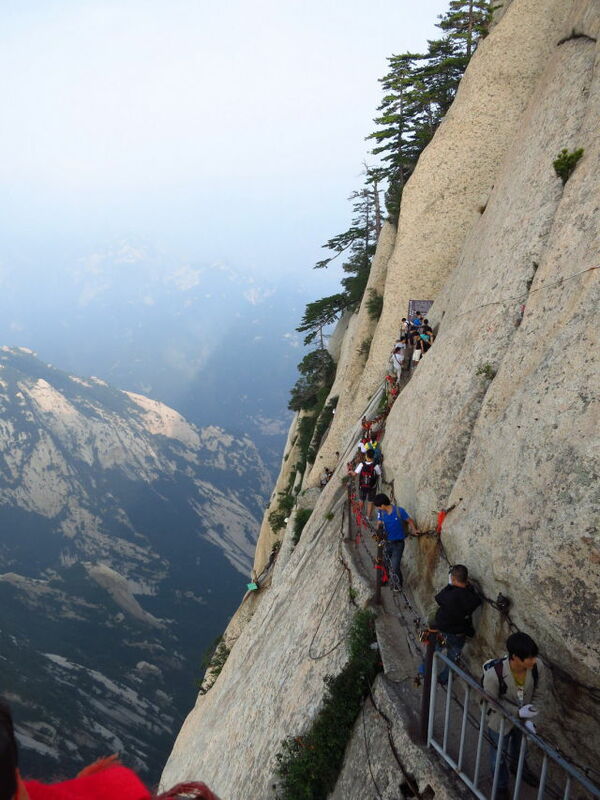 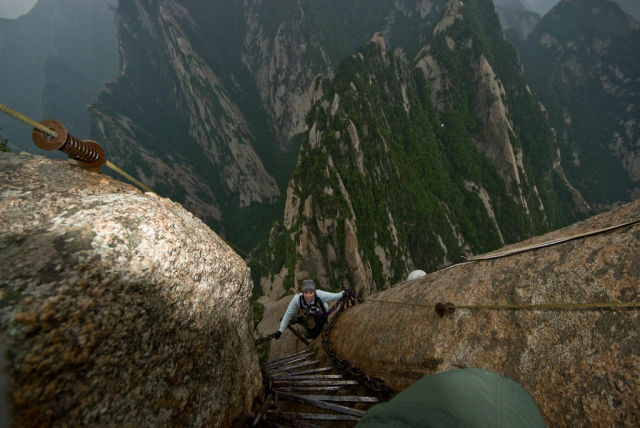 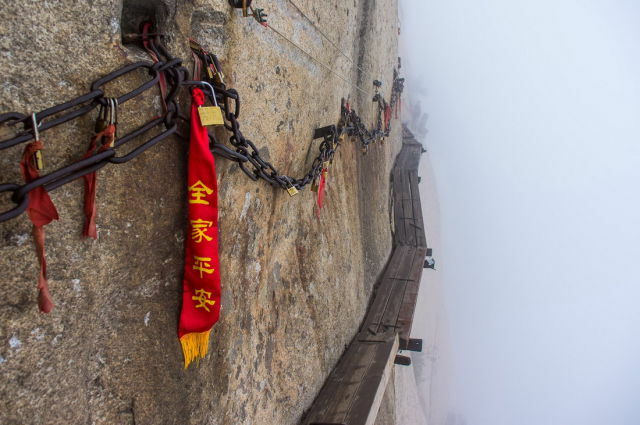 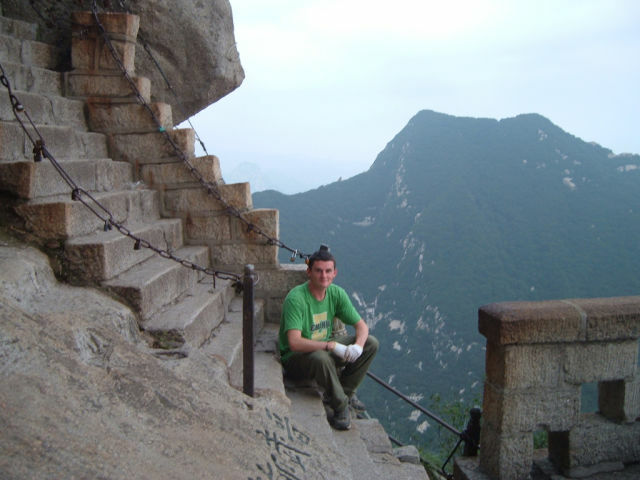 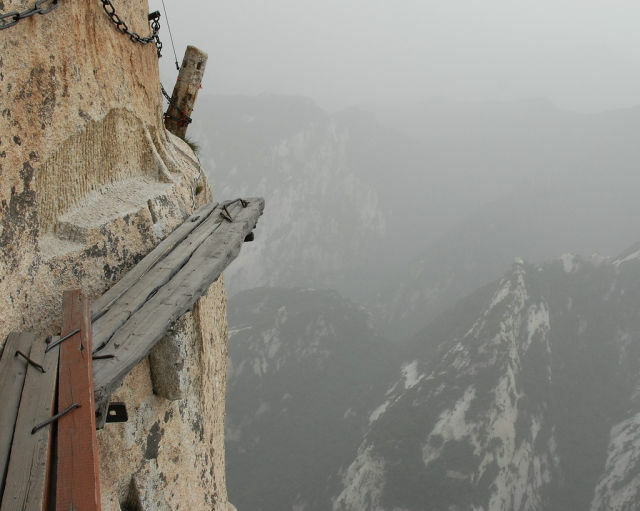 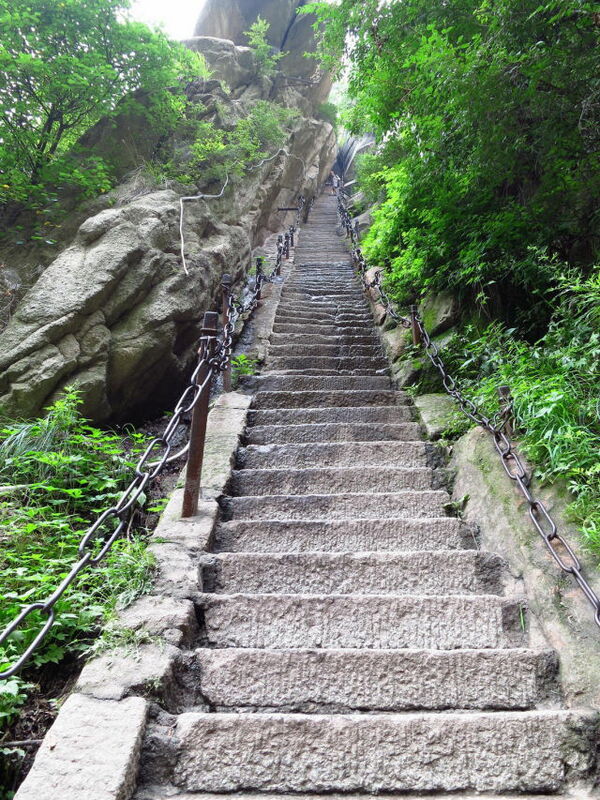 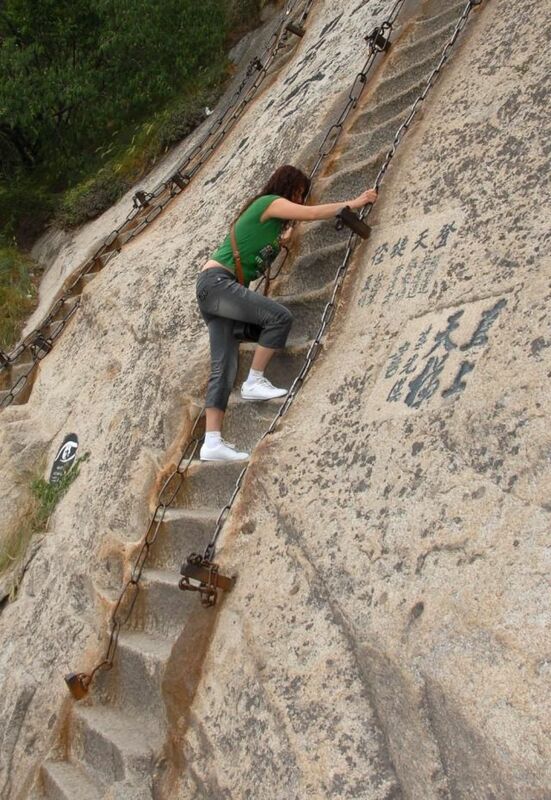 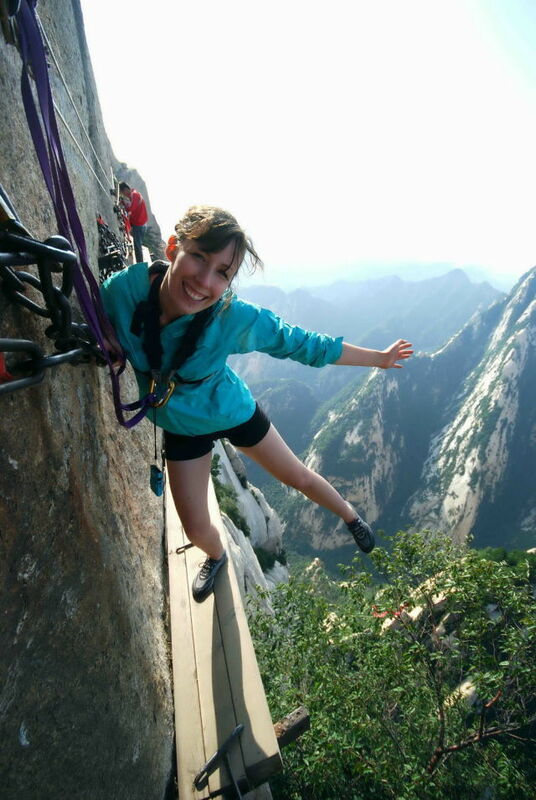 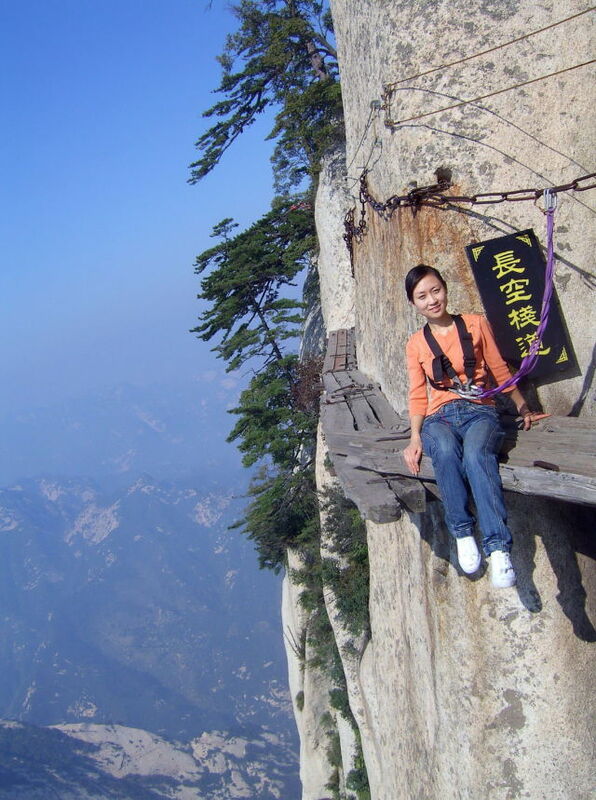 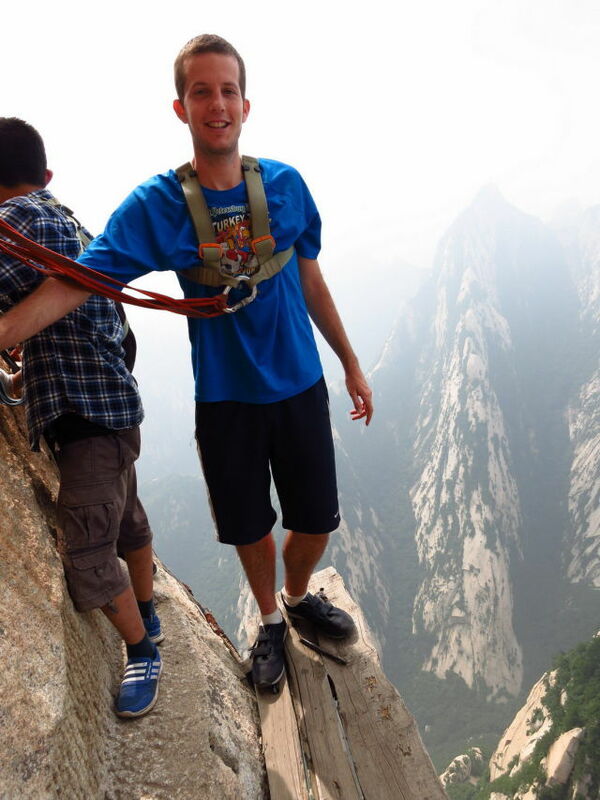 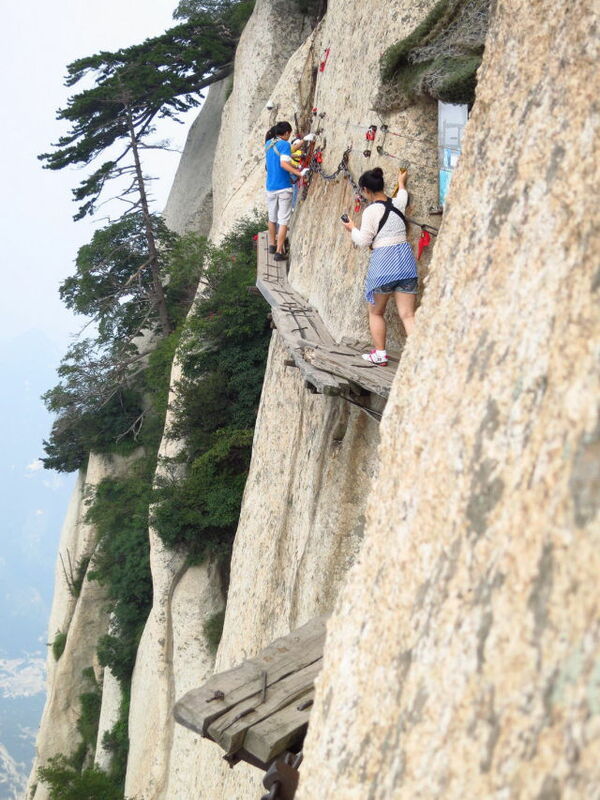 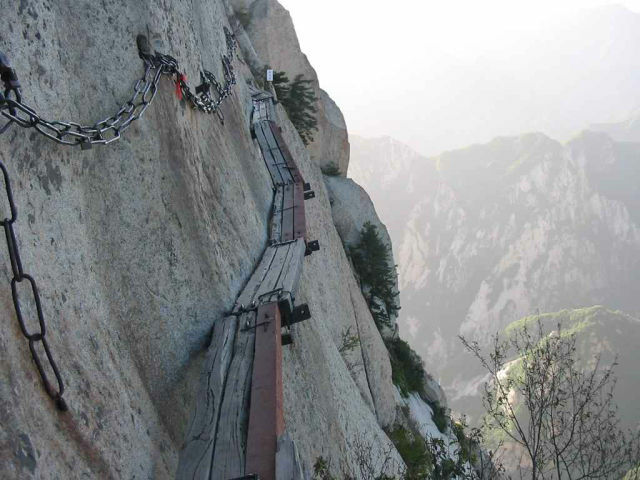 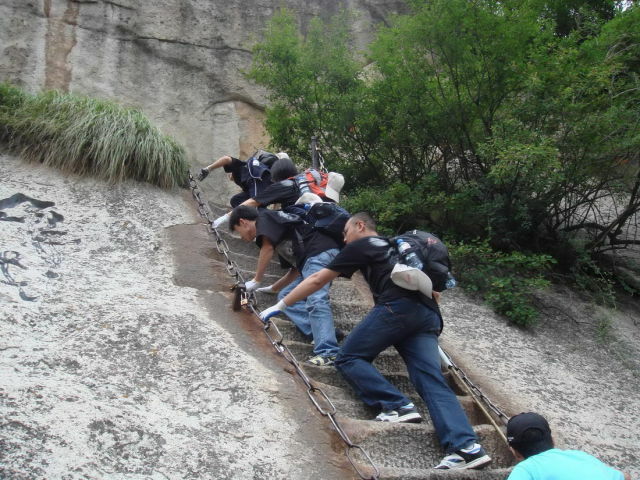 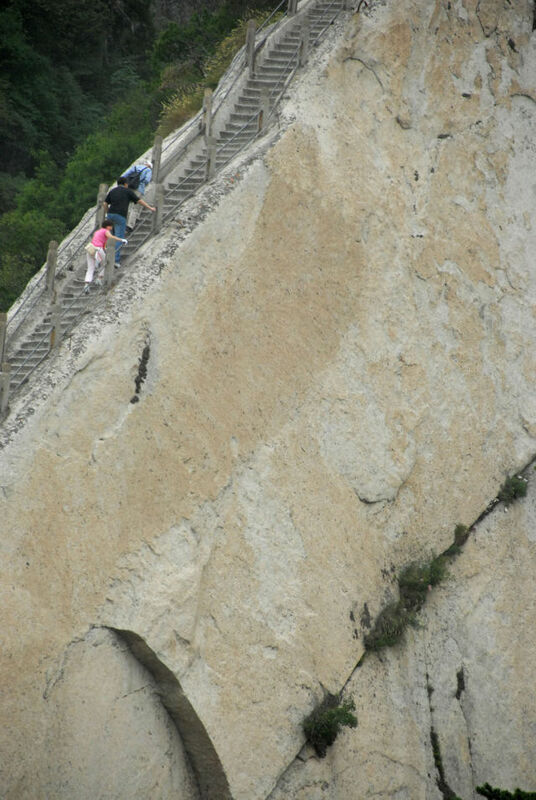 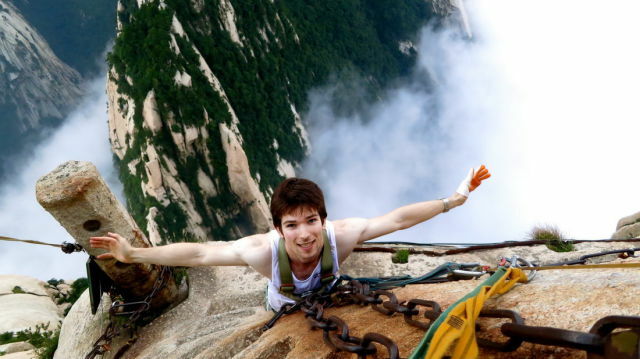 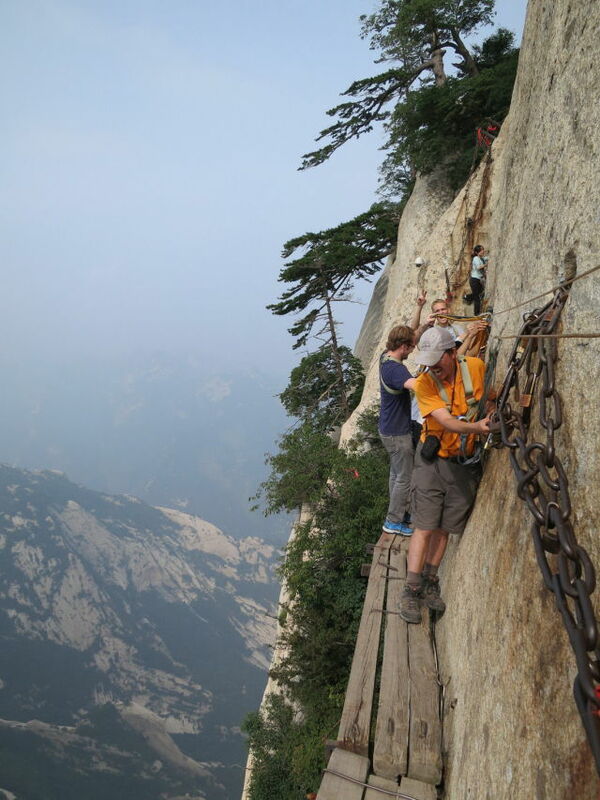 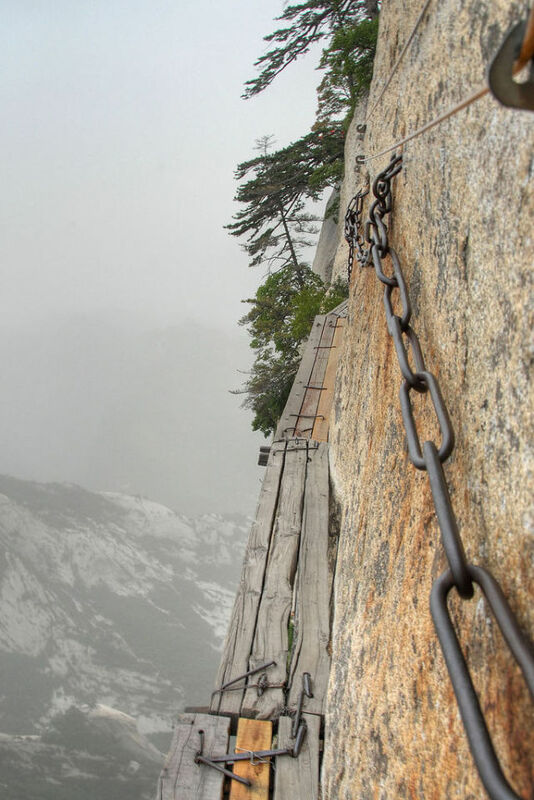 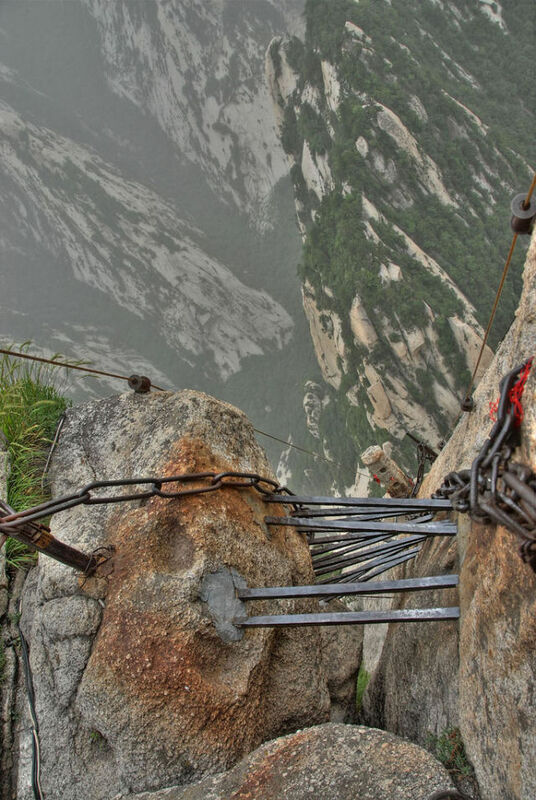 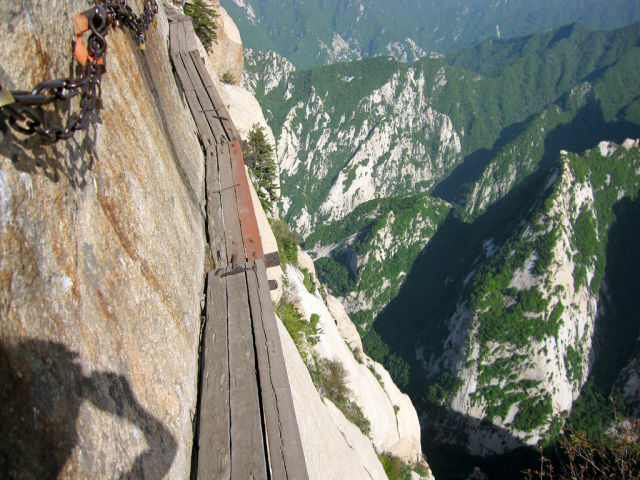 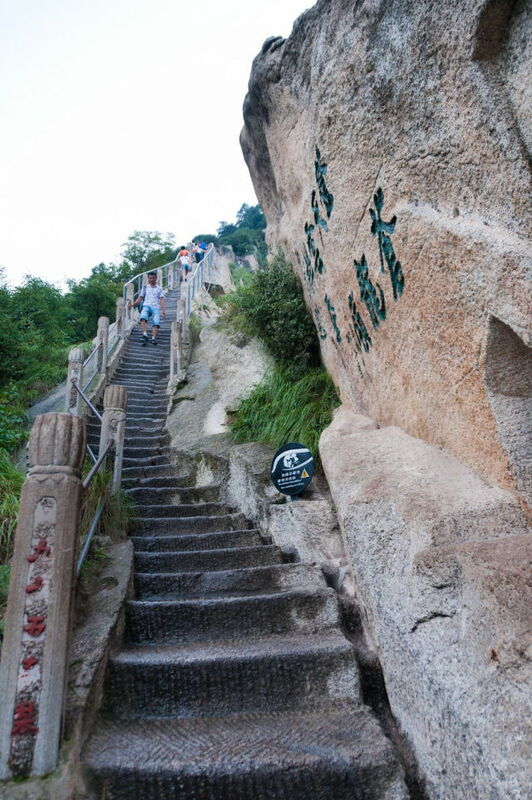 This dangerous and complicated climbing path is lined by Taoist monasteries, temples and pagodas and goes as high up as 6988 feet (2130 metres). 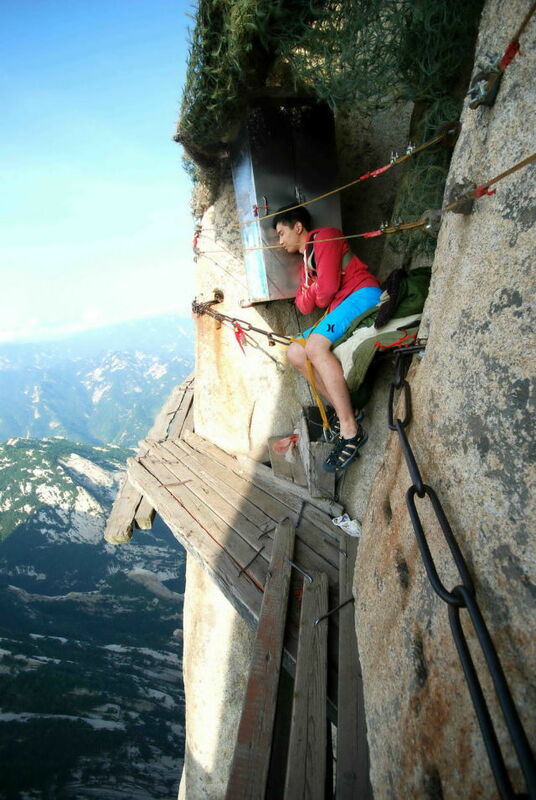 Great place to live for the Zombie Apocalypse ! 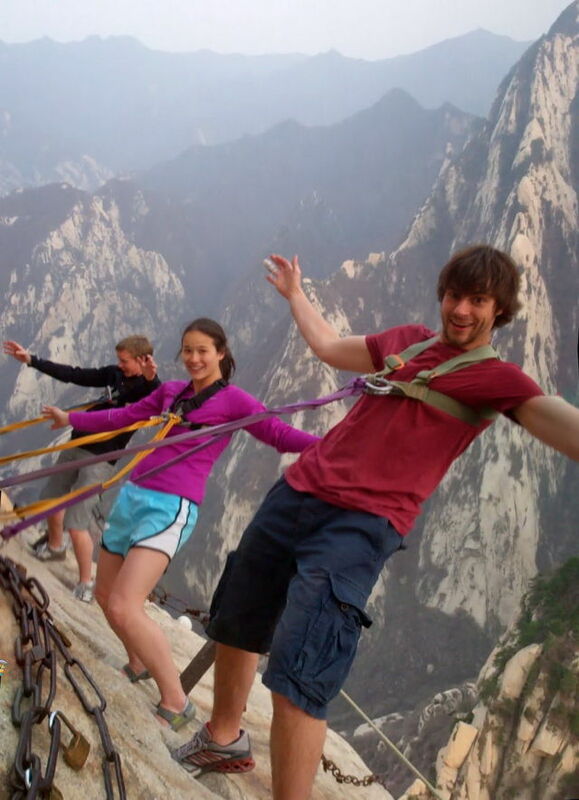 What do they know that we don't? 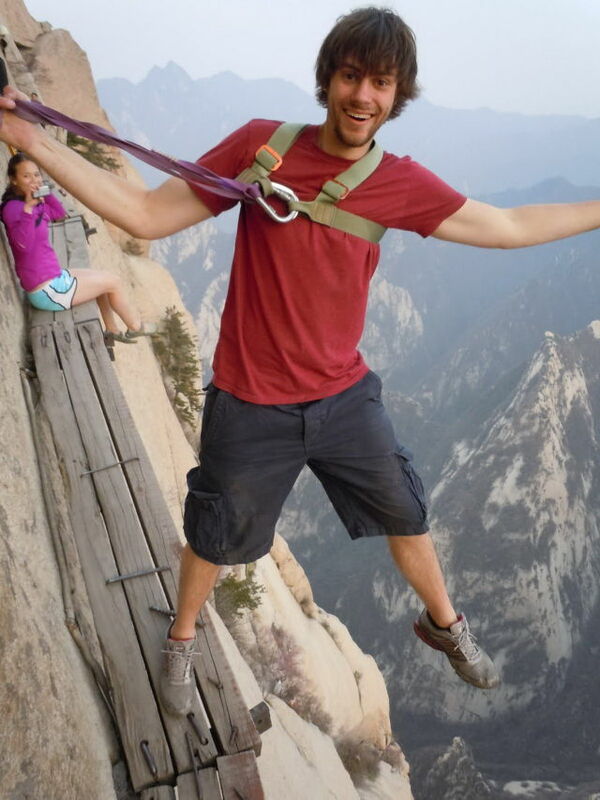 Second picture doesn't belong in the series. 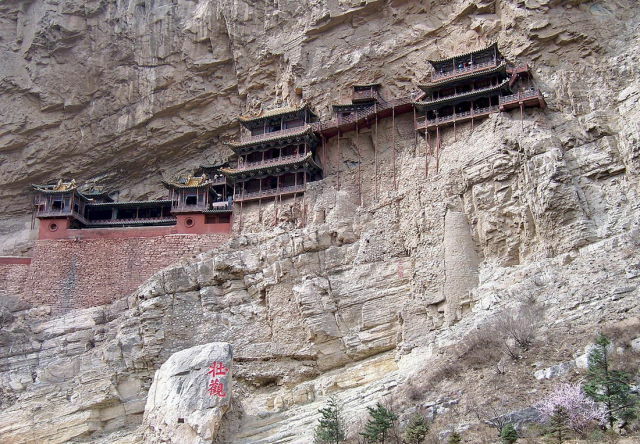 That one is the hanging monastery and it's in Datong. 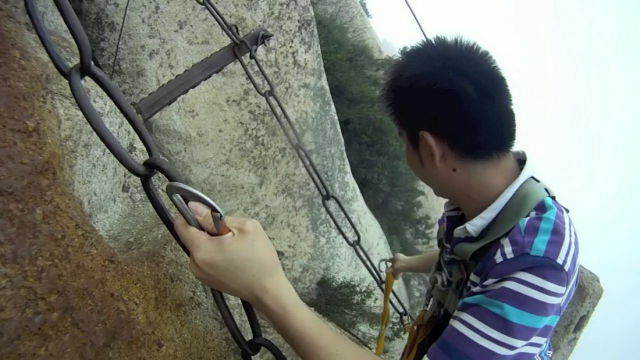 Can we see pictures of them coming down. 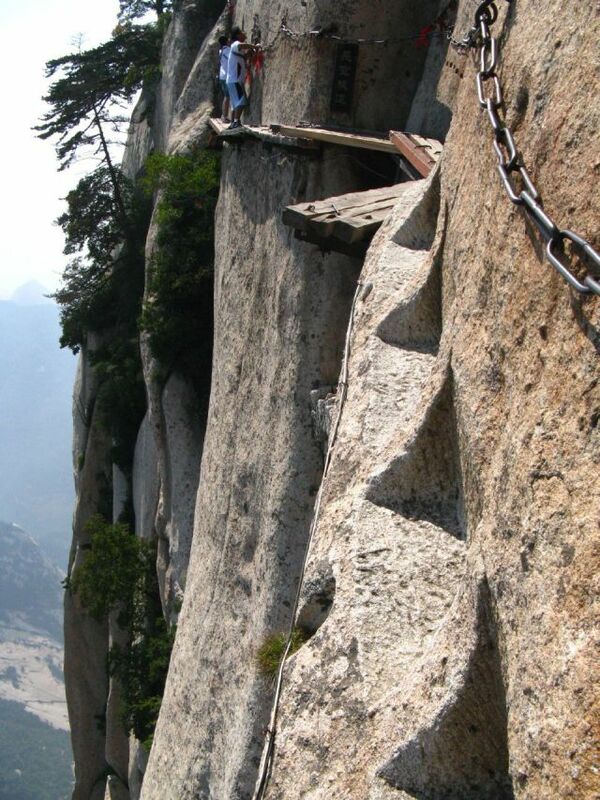 To what does this trail lead to? 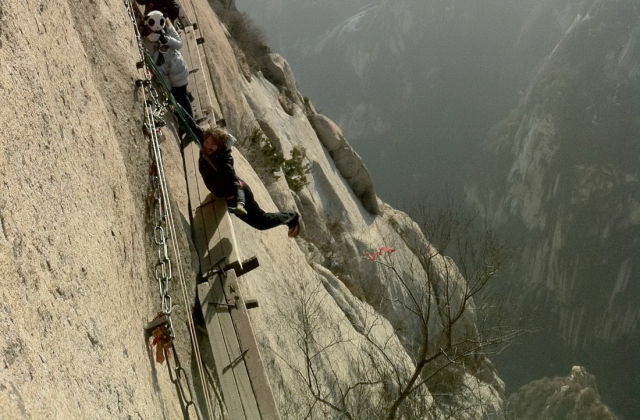 I would love to try this if there is something interesting at the end. 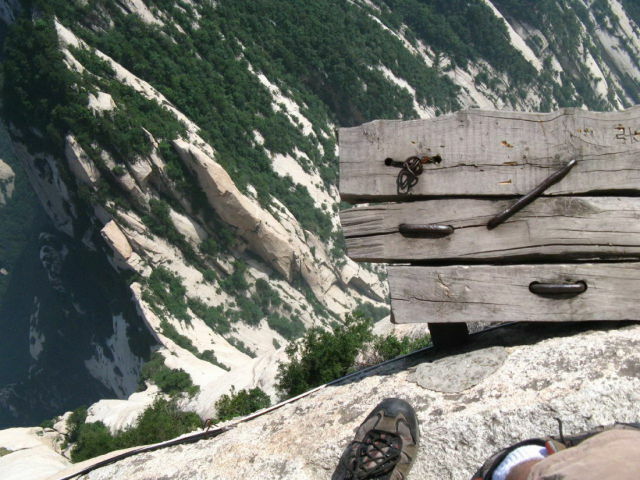 No one ever thinks that the reason those monasteries are in such remote locations is because the Monks don't want to be bothered by assholes with cameras and backpacks. 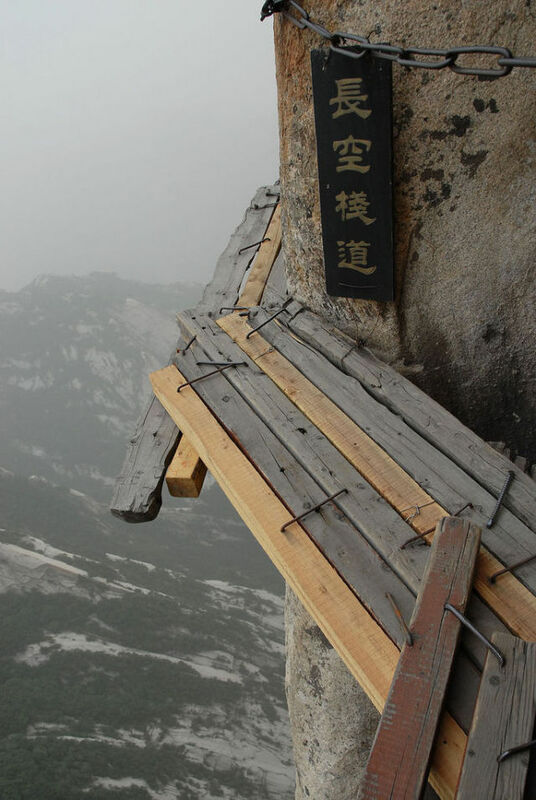 wow, that looks wonderful. 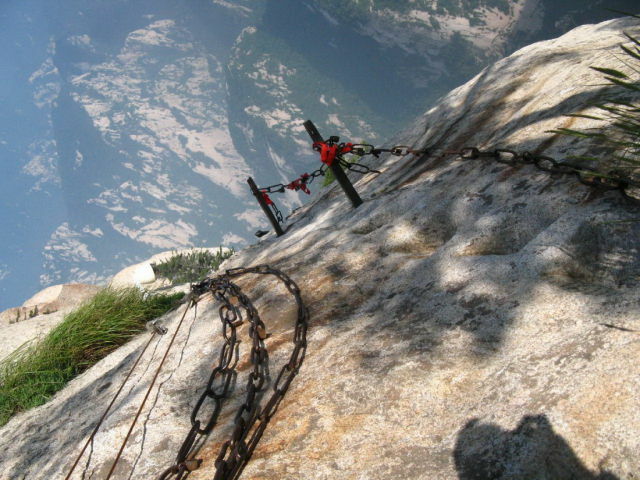 maybe in the next life.